If you’ve been looking for a new challenge to take on this summer, stop right there. Triathlon is a combination of 3 disciplines- Cycling, Running, and Swimming, all into one big race. You don’t need to jump right into an Ironman (3.9km swim, 181km cycle, and a 42km run) to get started, there are loads of different formats you can go with. A Sprint (750m swim, 20km cycle, 5km run) is a fun challenge to set for yourself to see if you want to build up to the big events. 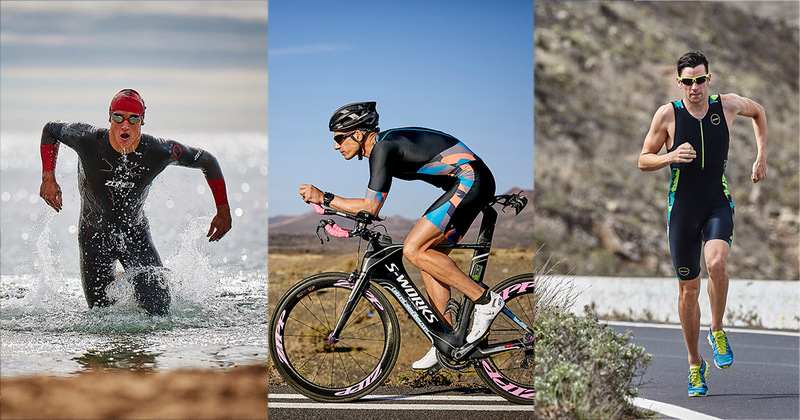 Great Outdoors is proud to stock Zone3, a premiere Triathlon brand with entry level to high performance triathlon kit, and all the training accessories that come in-between. If you’re thinking about getting started we can help you on your way, but first, here’s a beginners guide to all things Tri! With many more training sessions to fit into your day, there won’t be time for boredom to set in! Though, you may want to warn your non-triathlete friends that most of your chat will probably revolve around triathlon from now on. Mixing up your training and taking a more dynamic approach that includes swimming, biking and running will help develop your all-round fitness. It is great for conditioning too, which develops power and efficiency. Swimming = toned upper body, bike and run = toned legs. If you’re going for a stacked muscular build then triathlon probably isn’t the right sport for you but it will definitely help you get lean. Triathlon is one of the most welcoming sports with no shortage of clubs. It’s not just the training though – triathlon is a really friendly community and really does become a lifestyle. We’re kit fanatics here at Great Outdoors, and there’s no getting away from the fact that if it’s your first triathlon, you’re probably going to need to invest in some kit. You can spend as much as you like but there’s no need to go all out (unless you want to really splurge). Triathlon is always better in the sun – whether that’s training or racing. There are a lot of organised camps and races in exotic locations, so if you need an excuse to take another holiday, triathlon may be the perfect answer. That extra training is going to eat up a few thousand more calories each week and you’ll want to be well fueled. Although eating healthy will help improve your performance, it’s up to you if you occasionally use these extra calories to reward yourself with something sweet. Ireland has a selection of over 170 annual triathlons for everyone from beginners wanting to dip their toes into the sport to more serious athletes looking for a big challenge. We love Lilliput Adventure Centre’s annual Celtic Warrior, a fun DIY challenge for people who want to mix and match their triathlon events. But if you’re looking for a competitive race, having a peruse on Outsider’s website might reveal a few of interest to you. They have a list of 10 of the best for 2019 up right now. Which distance should I go for? As it is your first triathlon, we recommend you don’t begin with an Olympic-distance race. We recommend a sprint or super sprint distance, anything up to 750m swim/20km cycle/5km run. How long do I need to train? The optimum time period we recommend you allow yourself to prepare for this race should be about 14 weeks, so 3 and a half months. However, you can prepare in 8-14 weeks if you have a sporting background in either of the disciplines. Even if you consider yourself quite fit, we recommend you train for 8 weeks minimum. How should I schedule my training? At the beginning of training is a good time to develop a consistent routine dovetailing swimming, cycling and running into a weekly lifestyle. This is important, because it allows your mind and body to be prepared for the training sessions. We advise your first triathlon to be a pool-based event if you are new to swimming, have less time to train, or aren’t very confident in the water already. From an overall fitness point of view, it might be advantageous to train by performing all the different swimming strokes, but with concentration on front crawl as this is obviously the one used in triathlon. As good technique is so important for competitive swimming, you might find it beneficial to book a few sessions with a swimming coach for a short period of time. The first thing we will say about cycling is: do not buy the most expensive bike, you may not like triathlon and only complete this one triathlon. Safety and comfort is paramount during the cycle section. So, the most important decision here is how to get your bike set up correctly. If you develop pain soon after cycling, this is nearly always due to an incorrect body position. Even if the body is only slightly misaligned, injury can still be caused many months later from the thousands of inappropriate movements made in that time. We are all different, so everyone’s body position on the bike will be unique to them. Because of this, you might like to get professional advice when setting up your bike. It can be cheaper than two or three physiotherapy treatments for an injury caused by the wrong bike set up. You will obviously need to be aerodynamic on the bike, but avoid ‘aggressive’ cycling positions. Running is the easiest and most natural of the three sports to do; you can start from your front door. However, running can produce more injuries than swimming or cycling. Consequently, your choice of running shoes is extremely important. You need to develop a running style that channels most of your energy into moving forwards, rather than up or down. Consequently, body movement should be at a minimum and your head should remain at more or less the same level. During the cycle segment, the body is supported by the bike, but then suddenly we have to stand up and run. At the start of each run after cycling, you should simply concentrate on finding your correct running style and then settling into your optimum pace. Combination workouts get your mind and body used to switching smoothly from one discipline to another. If you don’t complete combined workouts on a regular basis the body will take time to adjust during a race, resulting in a loss of performance. The transition is the period of time spent switching between disciplines. You should also make sure you practice the transitions, T1 is the swim to cycle and T2 is the cycle to run. Practice mounting the bike, running with the bike and then removing your cycle helmet. Go to a local park with all your kit arranged the way it would be at the race, and then practice both T1 and T2. Our favourite part! The top advice we will give when it comes to kit is to prioritise your comfort, and wear kit that will keep you warm. These are the top picks in kit that we advise for your first triathlon! When it comes to kit, always train in the kit that you will be wearing for the race for a while prior to the race, to ensure that everything is comfortable and worn in. You don’t want any bad surprises on race day! Wetsuit – If the pool section of your race is open water, you may be more comfortable, and in some cases obligated, to wear a wetsuit. Zone3 Advance and Vision wetsuits are award winning and designed for entry level athletes. The price point has been kept low however they certainly don’t lack in performance – punching well above their price tag. Be sure to try out your wetsuit before the race to make sure it fits right. Top tip: If you find that your wetsuit rubs in any areas, try using body glide on the area that it rubs to prevent chafing and friction-related irritation. Tri suit – It is personal preference what you wish to cycle and run in. The easiest, and most comfortable suggestion would be a tri suit. It makes the transition quicker too. Zone3 provide both one piece and two piece tri suits. We recommend their activate range for beginners. This range was made to provide first-timers a high quality tri suit at an affordable price. Goggles – The priority when buying goggles as a beginner would be to ensure good visibility, and comfort. Towel – Important for drying your feet after the swim section, as it will make the cycle and run sections more comfortable for yourself. Comfortable shoes for running/cycling – Most beginners will wear the same pair of trainers for their cycle and run sections of the race, however it is personal preference. As it will be your first triathlon, we suggest you to wear whichever shoes you will feel the most comfortable with. Practice both cycling and running training in these shoes prior to the race, as stated previously. Top tip: Using elastic laces will make your shoes much easier to put on during transition. Race belt – A race belt is used to hold your race number. It is convenient to use one as you will need your race number on your back during the cycle and on your front during the run. If the number is attached to a race belt it is very easy after the cycle to simply turn the belt around so that the number is on the front. The Zone3 Race Belt also contains a neoprene pouch to store energy gels. Transition Bag – A bag to store your kit in will ensure that everything is well organised and accessible to you on the day. Top tip: Lay everything out on your bed or a large surface before packing, and pack everything in reverse order of when you will need it. This will mean that the items which you will need first are on the top, and speed up your transition. Bike – You can cycle using any bike you wish, however it must have brakes on the handlebars and is not allowed any type of motor attached to it. Puncture repair kit – If you are worried about getting a puncture, it may be a good idea to carry a puncture repair kit in a saddle bag on your bike. We suggest that you watch some online tutorials on how to repair punctures and/or practice if you don’t know how to. Helmet – It is essential to wear a helmet during a triathlon, you won’t be allowed to race without one. Most helmets are triathlon-friendly, it just needs to have a CE mark on it. Water bottle – Most races will provide a water point during the run part of the race. However, it is advised to bring a water bottle with you, to ensure that you are keeping hydrated. If you’re considering getting started in triathlon there has never been a better time to start training than now. There is a whole world of sport out there for you to explore, but if you’re looking to participate in your first triathlon, hopefully this is enough to get you going! As always, for any adventure needs Great Outdoors has you covered. Feel free to swing into the shop and have a chat with our friendly staff about all things tri, we’re always eager to help!